Abstract—The proposal of the paper is based on the data mining effects using ERP framework. Using the ERP database we applied data mining applications to evaluate the best result for the growth and establishment of a company. In this paper we proposed a model which integrates the database, customer queries, transactions, and all other specifications used in ERP systems, then use data mining techniques to integrate decision making and forecast flows. By using ERP’s characteristics and background we gathered the data from central database in cluster format which is based on the action taken against the queries generated by the customers. Furthermore, the clustered data used by Apriori Algorithm to extract new rules and patterns for the enhancement of an organization. This is a complete implementation of data mining applications on ERP framework to predict the solution of upcoming queries. This will make the best association between the customers and organization, and customer will always satisfied with company’s policies. F. A. Author is an Associate Professor in the department of Information Systems, King Saud University , Riyadh, Kingdom of Saudi Arabia. Mob: 00966-504171443, mudimigh@ksu.edu.sa. S.B. Author is a Researcher in the Department of Information Systems, King Saud University, Riyadh, Kingdom of Saudi Arabia. Mob: 00966- 543807381, zahidullah45@ksu.edu.sa. T.C. Author is a Researcher in the Department of Information Systems, King Saud University, Riyadh, Kingdom of Saudi Arabia. Mob:00966- 530706625, farrukh800@ksu.edu.sa. 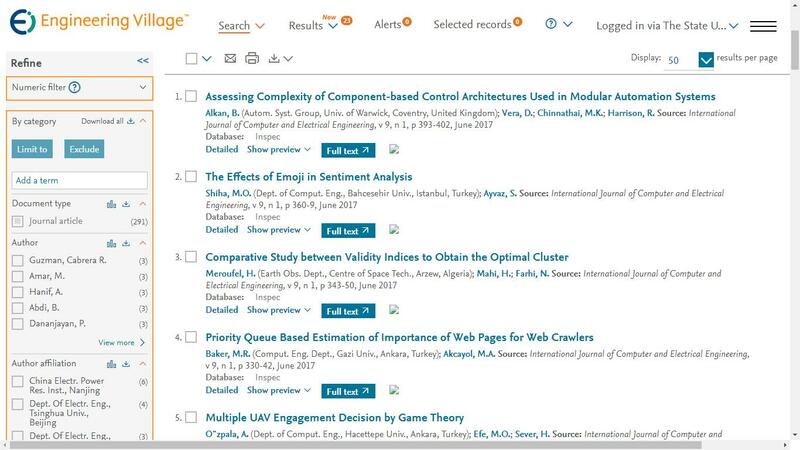 Cite: Abdullah S. Al-Mudimigh, Zahid Ullah and Farrukh Saleem, "A Framework of an Automated Data Mining Systems Using ERP Model," International Journal of Computer and Electrical Engineering vol. 1, no. 5, pp. 651-655, 2009.